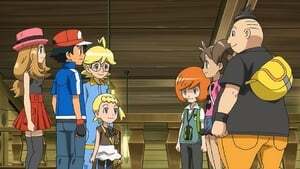 As the episode begins, Professor Sycamore is seen on a screen, advertising the Pokémon Summer Camp, which lasts one week, and its purpose to bring Trainers and Pokemon closer together by interacting with other trainers. As he finishes his invitation speech, Ash and his friends arrive at the Pokémon Summer Camp, and all of them are dazzled at the site of the camp, as well as the seaside. As they are admiring the view, Professor Sycamore calls out to them. They talk to the professor a bit, and Ash talks about how he had seen Korrina and her Mega Lucario, which the professor wishes he could have seen. Meanwhile, Team Rocket, who have been hired as chefs for the camp, are carrying food while they pass by and see Ash and his friends, having known that they would attend the camp, and quietly discuss plans to steal Pikachu and everyone’s Pokémon. However, they are interrupted by the custodian, Madame Catherine, who keeps a close eye on them. Meanwhile, Sophie assigns Ash and his friends to a cabin to stay in for the program. They are assigned to the Froakie cabin, which therefore identifies the group as “Team Froakie”. The group takes an enjoyment to the inside of the cabin, and like the overall conditions. While Ash looks out the window, Clemont notes how this is somewhat reminiscent of the time Ash and Serena first met. Ash agrees and tells Serena that they should make this experience a good one, which she concurs. As Ash looks out the window, he sees an ongoing battle between a Squirtle and Conkeldurr outside. Ash and his friends go outside to watch the battle, and they are all impressed at Squirtle’s mobility. The Squirtle’s trainer then shows off his “dance” methods of battling, much to the dismay of the opponent. Squirtle uses its dance techniques to quickly dodge Conkeldurr’s attacks, and soon defeats Conkeldurr with Skull Bash. The Conkeldurr’s trainer then admits that he has never had quite a unique battle, while the Squirtle’s Trainer makes a remark on how that’s his battling style. Ash, impressed, comes up and challenges the trainer, while he introduces himself as Tierno. The two greet each other, and Tierno explains that he is part of “Team Squirtle”. Meanwhile, after the two greet, Tierno quickly takes notice of Serena, and recognizing her, quickly runs off. He comes back, bringing a girl, and asks her if Serena is the particular girl that she recognizes. The girl is awed that she is seeing Serena in person. This causes Serena to question how the girl knows her, to which she explains that she saw her Pokévision video from several episodes before, much to Serena’s surprise. As the group begins to remember what Pokévision is, Clemont then is quickly flabbergasted at the thought of his rather disastrous Pokévision being seen by the public. However, Bonnie says that she made the video so that everyone could view it, much to Clemont’s dismay. Meanwhile, the girl introduces herself as Shauna, and expresses her admiration of Serena’s promotion video, while she is thanked by a flattered Serena. The group, along with Tierno and Shauna, go to the nearby Pokémon Center, and Tierno heals up his Squirtle. Meanwhile, Shauna elaborates on how Pokévision videos are viewed, and quickly shows Serena’s Pokévision, which has a relatively large amount of views. Shauna then shows one of her many Pokévisions, particularly one with her Bulbasaur, while she reveals that she also has Pokévisions with a Flabébé, Swirlix, and Gothita. Upon Shauna’s request, Serena sends out her Fennekin, and Shauna takes a liking to it. Meanwhile, Shauna sends out her Bulbasaur, while Pikachu and Fennekin try to greet it. However, much to their dismay, Bulbasaur simply refuses to interact with them and turns away. Chespin quickly pops out of its Poké Ball to happily join the interaction, and Froakie also joins. Serena also gives them all PokéPuffs to enjoy, but Bulbasaur refuses to take one until Shauna directly gives one to it. Shauna explains that Bulbasaur isn’t very sociable, and is only willing to interact with her. Meanwhile, as the Pokémon interact, a hyper Charmander quickly joins in and runs around spouting flames in happiness, much to the surprise of many of the Pokemon, while Chespin catches fire. However, Squirtle douses the flames. As Clemont notes on how this completes the Kanto starter trio, he then wonders where the Charmander’s Trainer is. Its Trainer soon slowly climbs up the stairs, tired from chasing down Charmander. He apologizes to Tierno and Shauna for being late. 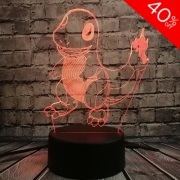 As he comes in, he quickly apologizes for the small chaos caused by his Charmander, and introduces himself as Trevor. The group says that everything is alright, however. As he looks up to see the group, he also quickly recognizes Serena, and explains that Shauna had forced him into watching her Pokévision. Serena is quickly flattered by this. Tierno exclaims that the video was extremely cute, and Shauna explains that Tierno is very easily infatuated. Trevor also takes a picture of Pikachu, and explains to Ash that he aims to see every Pokémon in the Pokédex. Meanwhile, the children all introduce themselves to one another, and Ash also states that his dream is to become a Pokémon Master. This surprises Serena, which causes her to become slightly curious on pursuing a dream. Meanwhile, everyone in the Summer Camp is brought to an orientation. Professor Sycamore introduces the group to the custodian, Madame Catherine, as well as the chefs, which are Team Rocket in disguise. He also mentions that Diantha had participated in the Summer Camp when she was younger, and managed to place in the Hall of Fame. He then initiates that everyone participate in a one-on-one battle, with no points gained, so that the participants can all get to know each other. Ash, Serena, and Clemont choose Tierno, Shauna, and Trevor as their respective battle opponents. Bonnie serves as an audience for Ash’s battle with Tierno. While Serena is battling Shauna, she feels nervous because she has never had an official Pokémon battle before, much to Shauna’s dismay. She orders Fennekin to use Flamethrower, while Shauna orders Bulbasaur to use Energy Ball. Despite the type disadvantage, Bulbasaur quickly manages to overpower Fennekin’s attack, much to Serena’s surprise. Meanwhile, as Clemont is battling Trevor, Charmander quickly manages to set Chespin on fire, which causes it to jump into the sand to douse the flame. During Ash’s battle with Tierno, Froakie is quickly outmaneuvered by Squirtle, and Squirtle manages to touch Froakie, which causes it to dismantle its Water Pulse. Tierno is declared the winner, and the rest of the battles are completed. While everyone is at dinner, the children all talk about their goals. Shauna aims to become a famous Pokémon Performer, and Tierno aims to form a dance unit with his Pokémon. Clemont talks about how he is an aspiring inventor, and presents his Aipom Arm, which impresses the other children. Meanwhile, Team Rocket gets a raise from Madame Catherine, as the food they had cooked had received positive reviews. As the episode ends, Serena is out on the dock, brushing Fennekin’s tail as usual. As she brushes, she makes note of how all of her friends are pursuing their dreams, and begins to ask an important question to herself: What is her goal in her journey?